On Thursday the new 70-member-strong “Medicare For All” caucus made its Capitol Hill debut. Notably absent: Anyone from New Hampshire. Even progressive activist Rep. Carol Shea-Porter, who’s retiring this year, was a no-show. #MedicareForAll may be the rallying cry of progressive Democrats in the upcoming midterms, but Granite State Democrats appear reluctant to join in. 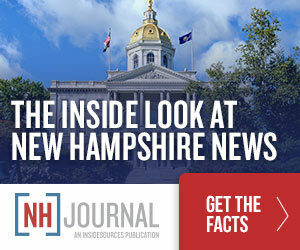 The surprising exception is Sen. Jeanne Shaheen, whose reputation as a more moderate Democrat stands in stark contrast to her co-sponsorship of Bernie Sanders’ big-government expansion that would cost somewhere between $14–$32 trillion (with a “T”) to implement in its first decade. Sen. Maggie Hassan is not on board. Rep. Annie Kuster declined to join the #MedicareForAll caucus or co-sponsor their legislation. In the race to replace Rep. Shea-Porter, however, the field is much more single-payer friendly. Nearly all of the candidates support #MedicareForAll, most notably former Obama administration official Maura Sullivan (to be paid for by “not giving millionaires and billionaires tax breaks,” she says). The glaring exception is Executive Councilor Chris Pappas, who famously refused to endorse #MedicareForAll at the most recent NH-01 candidate forum. But where are New Hampshire voters? A Kaiser Family Foundation poll earlier this year reported that nearly 60 percent of Americans support a “Medicare For All/national health plan.” However, these polls rarely ask about the costs of the plan or the impact on taxes. Do Democrats really want to send a candidate out in November who backs a trillion-dollar, big-government, single-payer health care bureaucracy to replace what New Hampshire residents currently have? Or put another way, will the progressive activists most passionate about politics this year accept a nominee who won’t?